There's a reason why they say "Easy As Pie"
This recipe makes one crust. If you have a pie that needs a top crust or lattice work top, you will need to double this amount. 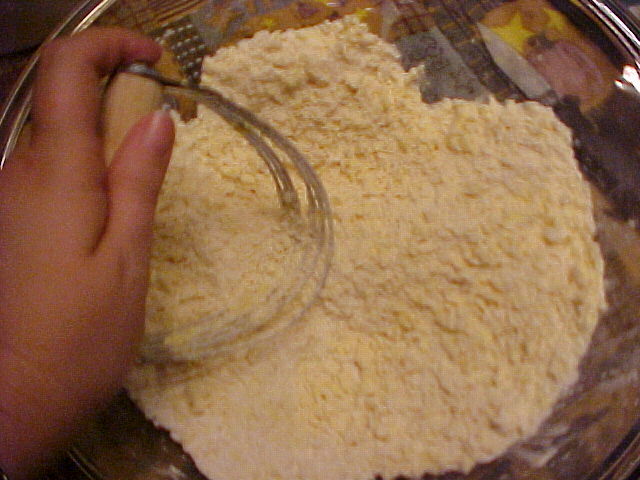 In a large mixing bowl, add flour, shortening and salt. 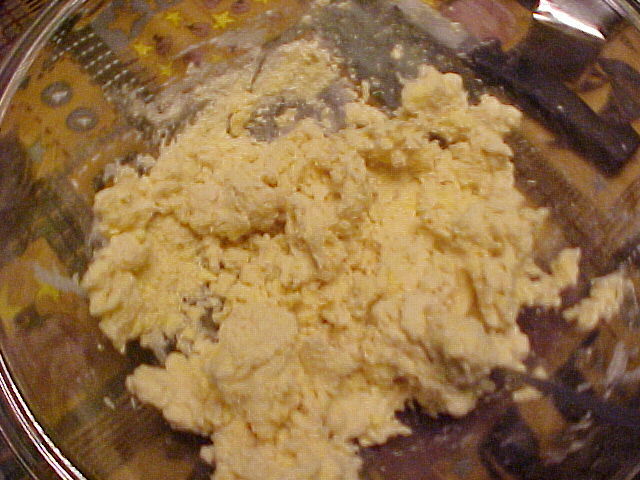 You need to cut the shortening into the flour and salt. 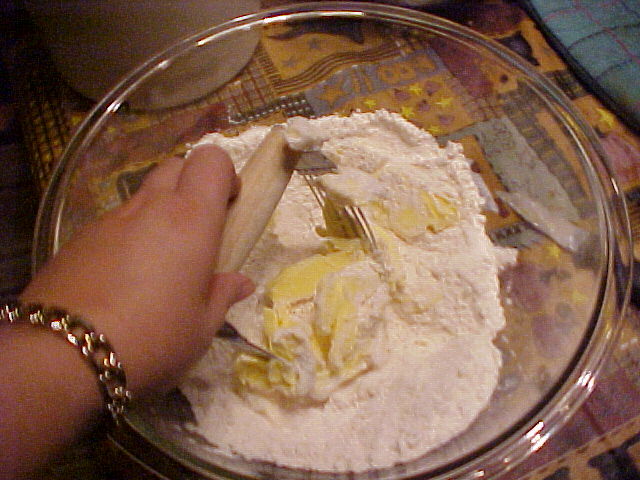 Ideally, a tool called a "pie crust cutter" does this best. If you don't have one, don't despair, you can use two table knives and simply cross them back and forth through the shortening. Here's what your pie crust should look like when it's cut up enough -- small grains of shortening, mostly all the same size, approximately the size of small peas -- some people would tell you grains of rice but I think that's too finely cut up. 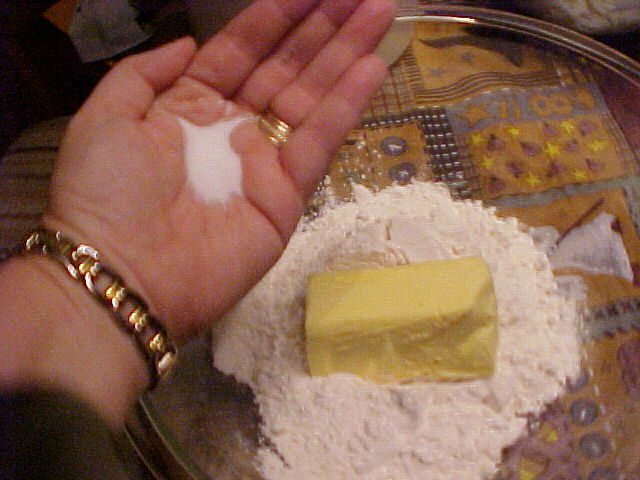 You will want to add ice cold water to the mixed up flour and shortening -- you do this by adding just a little (1/4 C. or less) and stirring it with a fork. If that doesn't turn out to be enough to make it all stick together, add another little splash. I can't tell you an exact amount because it will vary somewhat depending on humidity, the temperature in your room, etc. 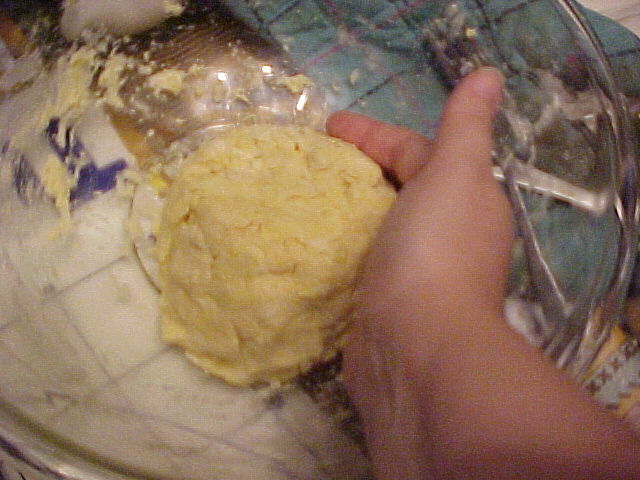 Roll out your ball of pie crust (or 1/2 of same if you made a double recipe) on a floured surface and fold it gently which will make it easier to lift in one piece into the pan. 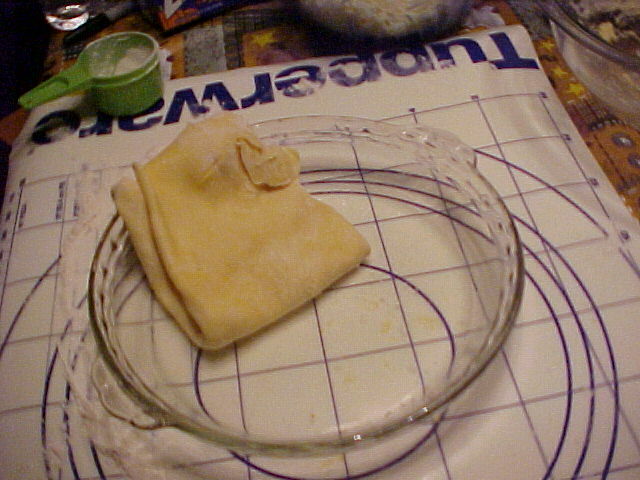 Once you get the gently folded crust into the pan, you can unfold it and you're all set to proceed. The crust will overlap the pie pan when you unfold it. Trim it till it's about 1 inch wider than the pan. 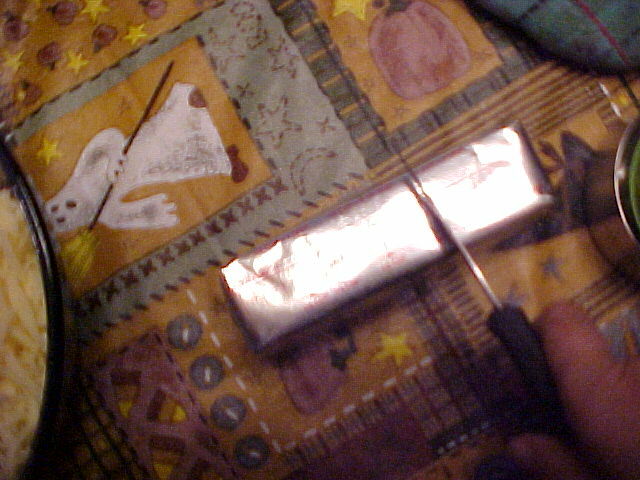 Then fold the excess under and crimp with your fingers. 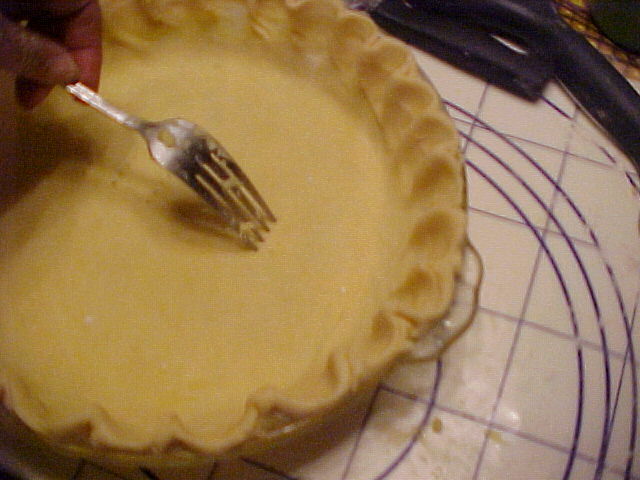 If you are making a pie where you need to pre-bake the crust, you will need to poke fork holes in the bottom to keep it from bubbling up and warping. 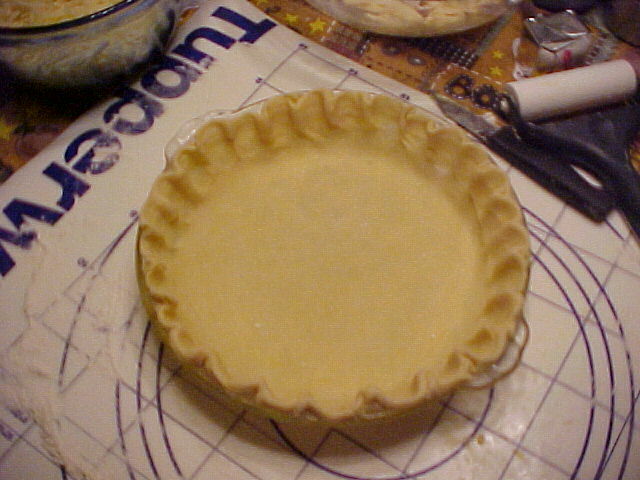 THIS STEP IS NOT NECESSARY FOR PIES THAT YOU FILL AND BAKE IN ONE STEP, SUCH AS FRUIT PIES.